Naturally there will be many different factors to consider when seeking to contest a will, and at WillClaim Solicitors, we approach every case with utter professionalism and the due care they merit. What are the next steps to dispute a will? Where negotiation has broken down (or not even started because the other party refuses to discuss the case with you), we advise you to seek professional legal advise. One of the first acts is to ensure that you gather all documentation (if you have any!!) relating to the will and collate as much information to give to your legal advisors. However, do not worry if you don’t believe you have enough please do still call us as one of the tasks we expect to perform is to investigate and obtain the papers and information that you can’t (for instance, the Will, Will file, information about the making of the Will and medical, care and other records concerning the deceased). We are prepared to take on a case speculatively regardless of the state of the evidence and information available to ascertain whether there is sufficient evidence to obtain a positive result or win. What is vital is that you make the decision to instruct us (or another) quickly to avoid the evidence becoming lost or destroyed or the estate being dissipated in which case of course, it may be difficult to recover any money or assets which have been spent. Afraid of going to Court – don’t be as this is unlikely to happen!! Firstly 99.9% of these cases will settle (be resolved by agreement between the parties) before court proceedings have to be issued. Secondly, your own evidence may not assist much anyway (unless for instance in a Will dispute case you actually witnessed the Will being prepared and executed which in our experience is highly unlikely). Moreover the Courts directly encourage parties to a dispute of this nature to try and resolve it before Court proceedings are even contemplated. A Practice Direction – Pre Action Conduct (which is a directive issued by the Courts and which must be complied with) has been issued to govern the conduct of parties before Court proceedings are issued in this type of case. In accordance with the terms of this Practice Direction, there must be a “cards on the table” approach to the dispute. So where for instance there are key papers to be considered, the parties must cooperate in obtaining them and release copies on request. This as mentioned will include the Will and even the Solicitors Will file (where it was prepared by a Solicitor) along with copies of any earlier Wills. Moreover, there is an additional requirement that the parties must consider and engage with each other in “Alternative Dispute Resolution” (in other words negotiation, mediation or early neutral evaluation). Penalties can be imposed on those who do not engage in this way before Court proceedings are issued to include in extreme cases, penalty costs orders. In other words, the person or party in breach could be ordered to pay your costs as well as their own. Believe that you have ground to contest a will? 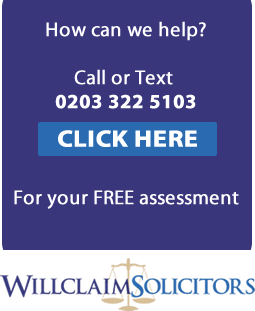 If you believe you might have grounds to contest a will, please do not hesitate to contact us on 0203 322 5103. We will treat your case with complete confidentiality and respond with our professional advice and guidance to help you claim what is rightfully yours. There is absolutely no obligation and our initial advice is free.